Google analytics helps us see what brings people to this blog. This one is definitely one of the more amusing. You see, if someone comes through to the website via a search engine, analytics tracks what the search term was. In this case, I hope that the searcher eventually got the answer they were looking for. Oh, and the reason they ended up here was because of a piece Brian posted here. You have to love search engine statistical and analytical data. It is almost always amusing. 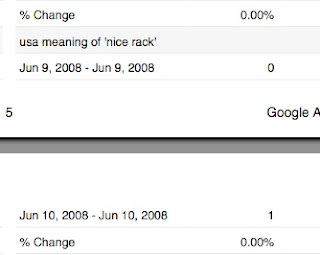 Saw somebody else go wild on a City-Data forum site over the "nice rack" term on an automotive site [looking for a boat rack]. lol. But seriously, folks, you should be talking to CalFire before next year's fire season. What an observation / command & control platform you could provide for a serious incident such as the current fires going on in and around Big Sur. Plus the publicity factor for AV could be beyond belief.